You have just made it as a Finalist for your Pro Cheer audition. You have now advanced to the finals week (or month) of the audition process which likely means not only will you need to impress the judges with your dance ability, look, and personality… But you also have to nail your interview. So let’s say this scenario is real. How would you feel walking into the interview round? 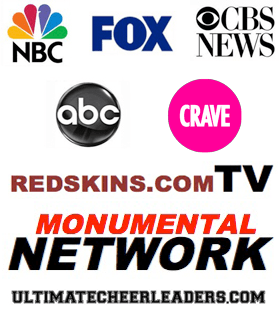 Most teams… But not all teams, will have an interview portion for their auditions. This can come in many different forms… It could be a one on one interview, it could be in front of a panel of judges, or it could be with a small group of people. Either way how are you feeling about your ability to answer questions about the team, the sport, your accomplishment, and any other topic they throw at you? Well… if the thought of the interview round scares you to death, fear no more!! I’m here to help you out!! * The Top 2 Questions that seem to be the most popular questions that you MUST have an answer for! Ready to nail your interview? If so, watch this week’s video … which is Part II of Audition Mistake #4: Not Taking the Application and Interview Processes Seriously… Part II focuses on the Interview Process, obviously. If you missed Part I of Mistake #4, you can watch it here. — and if you’re really behind and have missed all of the videos, let me catch up you. TopTips to Fill Out a Professional Cheer/Dance Audition Application Tips to Never Be Late Again… Especially to Dance Auditions! !